The window for the 2019-2020 MBA Student Broadcaster Scholarship Program is open! PLEASE NOTE: Students that plan to email the application MUST fill out the form in Adobe Acrobat Reader – not Apple Preview. Download Acrobat Reader for free. The Massachusetts Broadcasters Association is committed to furthering the broadcast industry by helping Massachusetts’ best and brightest students pursue a career in broadcasting. Students who are permanent residents of Massachusetts and plan to or are enrolled at an accredited institution of higher learning are encouraged to apply for the MBA’s Broadcaster Scholarship Program. The MBA awards scholarships annually in the amount of $2,000 to students pursuing a career in over-the-air broadcasting. In addition, a $3,000 is awarded in honor of the former President of the MBA, Al Sprague. Scholarships must be filled out completely and returned to the MBA by email to jordan@localhost and by mail to PO Box 857, Clark, NJ 07066. Applications MUST be postmarked or emailed by Friday, April 12, 2019 or they will not be considered. Incomplete or faxed applications will not be considered. Student’s transcript may be mailed separately. Participating MBA member stations will judge the applicants and all applicants will be notified as soon as possible whether or not a scholarship was awarded in their name. The MBA will hold up to two scholarship ceremonies at participating MBA member stations. Questions about the scholarship program can be directed to MBA Executive Director Jordan Walton at 800-471-1875 or by email to jordan@localhost. Since February of 2003, stations have been invited to take part in the Massachusetts Broadcasters Association Student Broadcaster Scholarship Program. 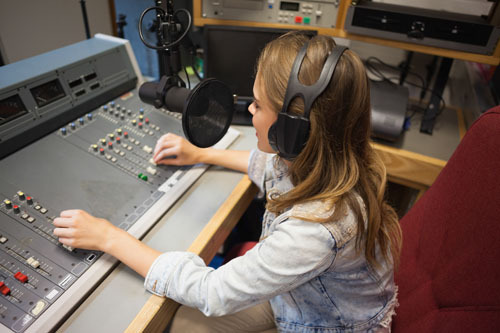 A statewide station/association-funded program, the Student Broadcaster Scholarship Program awards qualified students with a $2,000 scholarship toward pursuing a degree in over-the-air broadcasting. The purpose of the program is two-fold in that it supports future broadcast generations, as well as provides stations with a reputable program to partner with to earn EEO credit. 2) Help promote the Program via radio/television public service announcements, station web sites, social media, in-house bulletin boards, etc. 3) Disseminate and collect completed Scholarship Program Applications (via interactive .pdf). Letters with the prescribed dollar amount per Station Employment Unit (SEU) will be sent to every General Manager in Massachusetts each January for participation in that year’s program. STATION DEADLINE IS MARCH 8! STUDENT DEADLINE IS APRIL 12!